This existing penthouse condominium for an art collector had exceptional daylight and exquisite detailing, but lacked warmth to make it a home for it’s new owner. New wood furniture elements contrast and complement the existing stark white finishes. 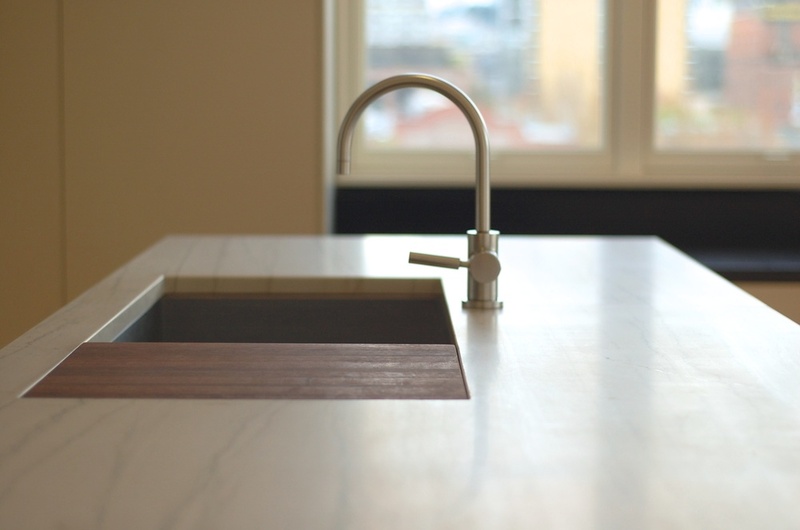 Stone and steel add subtle variety to the palette of fine natural materials. A new freestanding fireplace provides spatial definition between a new media area and the living room. Walnut boards provide material warmth and link the piece to the other furniture elements in the space. 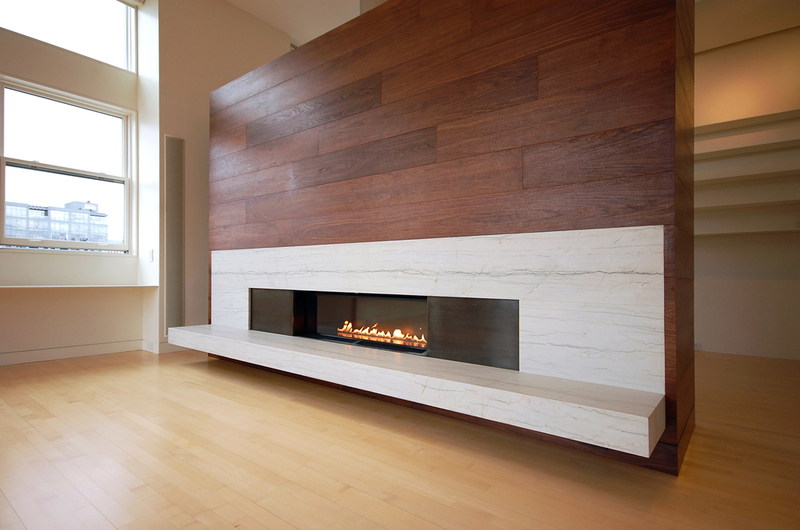 A white quartzite cantilevered hearth and surround incorporates a 4ft long linear fireplace. Blackened steel panels flank the fireplace extending it’s horizontality.